Educational psychology professor Hua-Hua Chang has been awarded the 2017 E.F. Lindquist Award in recognition of his outstanding contributions to the field of educational testing and measurement. Conferred jointly by the American Educational Research Association and the American College Testing Program, the award will be presented to Chang on April 29 during the AERA’s Annual Meeting in San Antonio. Chang also holds appointments in psychology and statistics and serves as the director of the Confucius Institute on the Urbana campus. CHAMPAIGN, Ill. — University of Illinois educational psychologist Hua-Hua Chang has been selected to receive the 2017 E.F. Lindquist Award in recognition of his research in the field of psychometrics. Chang will receive the award, presented jointly by the American Educational Research Association and the American College Testing Program, at the AERA Awards Luncheon on April 29. The luncheon will take place during the AERA’s annual meeting, April 27-May 1 in San Antonio. The E.F. Lindquist Award acknowledges a body of research of an empirical, theoretical, or integrative nature that advances the goals of furthering greater understanding and improved use of testing and measurement techniques. “I am very excited and deeply honored to receive this award,” said Chang, who is the director of the Confucius Institute at Illinois and is a professor of educational psychology, of psychology and of statistics. Chang’s research focuses on improving large-scale assessments and developing Computerized Adaptive Testing, which enables examiners to tailor exams to each student’s capabilities and measure their capacities more precisely and more efficiently. Chang and his colleagues’ recent research, funded by the National Science Foundation, showed promise at utilizing CAT to help low-performing students in an undergraduate physics course, potentially improving retention rates in science, technology, engineering and mathematics. Supported by Chinese Testing International of Beijing, Chang currently is leading a group of graduate students in developing a computerized adaptive version of the Level 4 Chinese language proficiency test, the HSK, the world’s second largest language proficiency exam. Delivery of the web-based CAT system is expected to make the U. of I.’s Urbana campus the host and support hub for administration of the HSK test in North America, Chang wrote in a recent article published in the department of psychology’s Psychology Times newsletter. 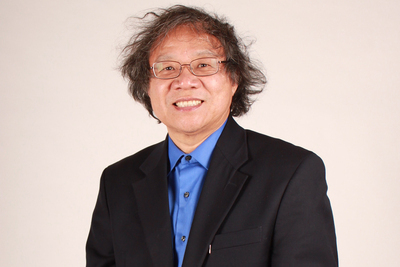 Among other honors, Chang has been a past recipient of a Fulbright Senior Specialist Award, a Chang Jiang Scholar Chair Professorship from the Ministry of Education of China, and a Distinguished Senior Scholar Award from the U. of I. College of Education. He also is a past president of the Psychometric Society.